In the greater Portland metro area, we are fortunate to have some wonderful organizations and resources in place that will be able to assist you and your pet. The resources listed on this page represent a wide variety of options. Click on the category you are looking for to get more information. We recommend that you spend some time choosing the best resource for you. Please note that no organizations or individuals on this list are endorsed by Petopia. Looking for a furry addition to your household? Hundreds of cats and dogs at area shelters and rescues are waiting for a new home. Search in person or online. Lost your companion or found someone else’s? Many lost pets find their way home – especially if they are microchipped – after days, or even months, so be persistent if your pet goes missing. Use the resources below to help you find a lost pet or find a loving home for an animal in need. Looking for options to sterilize your pet and help reduce pet over- population? Hoping to make a difference? Click here to find some amazing volunteer activities ranging from building fences to walking dogs. 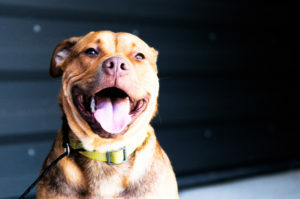 Need a great place to let Fido run and play with other dogs? In need of a veterinarian? Click here to search for one near you. Looking for a vet who can come to your house? Seeking help with your pooch while you’re away? Does your buddy need a day at the spa? Need help with transporting your pet? Looking for resources once a pet has passed? Faced with an emergency situation involving your pet or another animal? Want to know more about rental policies and your rights? Trying to manage problem behavior? It is important to find the right professional to help you. Need help covering expenses related to your pet? Looking for resources to respond to feral cats in your area? Want to report a case of animal abuse or cruelty?